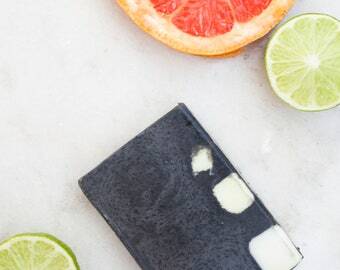 Oh, my gosh, this soap smells delicious!!! Love it! I'll buy again! Thanks. Thank you so much for the fast shipping of the charcoal bar. I can tell it’s already making a difference on my skin! In a clean peaceful environment my shop is my sanctuary where products are created, and the experience begins. I love to create products using the foods, herbs and oils that surround me. 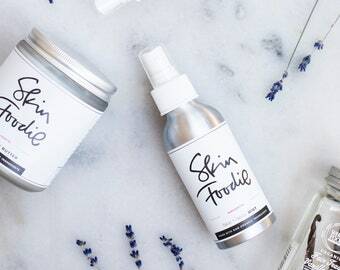 MAKER | MOMMA - I am blessed with 4 Skinfoodie babes that pitter-patter through my home and inspire me everyday! My brand was born years ago while I was making oatmeal baths to soothe irritated skin and coffee masks to tighten a tired face. 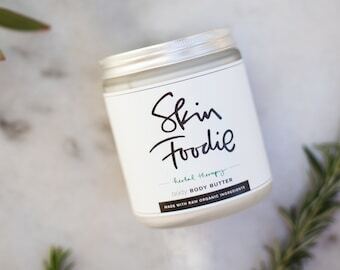 I use SUPER FOODS, butters, herbs and oils to create products with a purpose. 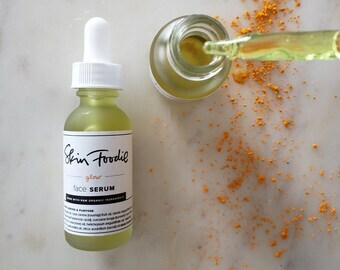 I have formulated and perfected recipes to soothe, cleanse and restore skin and their ailments. 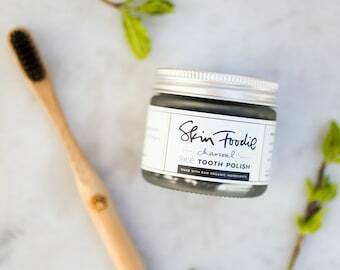 I have spent endless hours researching ingredients, their origins, how they are cultivated and their benefits in relation to the body, nutritionally and applied topically. 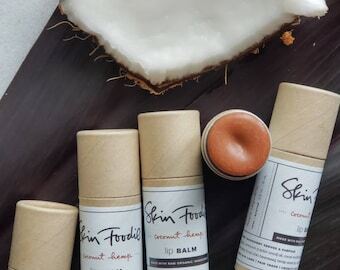 I have become the go-to for mothers, fathers, and peers often asking questions such as, "what can be used on their baby's rash" or "to soothe their irritated skin", "Do you have an alternative to a store bought deodorant?" " what do you use on your skin?" I began making and sharing my products with family, friends and clients. I have been touched by several Skin Foodie stories. Knowing a scar is a little lighter a or a rash is now gone is amazing and drives me to keep creating. It allows me to put positive thoughts and good intentions into every batch made. I have fallen in love with my products. I have fallen in love with the results! I am in love knowing what I am putting on my body and my kids bodies is just as good as what I put in it. Every ingredient serves a purpose. Every product has a purpose. It is what nature intended. I believe in transparent ingredients. I believe in the use of ingredients in their rawest form. 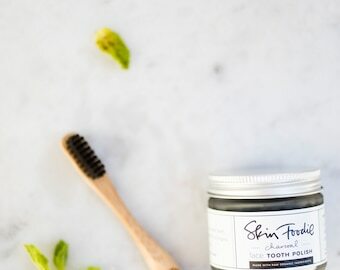 My products are free of Sulfates, Parabens, Fragrance, and Propylene Glycol. 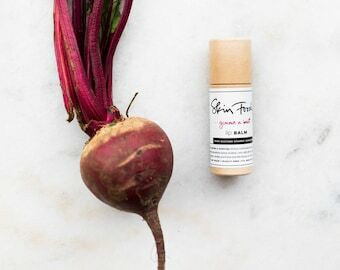 I urge you to SIGN the PETITION for CLEAN BEAUTY Cosmetics! As consumers we should be protected and demand transparency among ingredients because we deserve to know what we are really using. 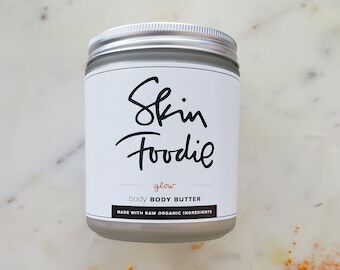 Please share your Skin Foodie Stories with me. Your skin, the largest organ of the body covers a total area of approx. 20 sq. feet. It protects and absorbs. It's main function is to protect our insides from harmful bacteria, toxins and substances. 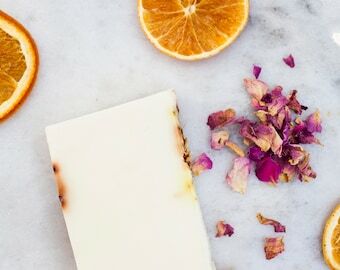 Imagine instead of putting a body cream that it filled with synthetic ingredients and harmful fragrances, that you nourished and fed your skin using natures raw butters and oils. 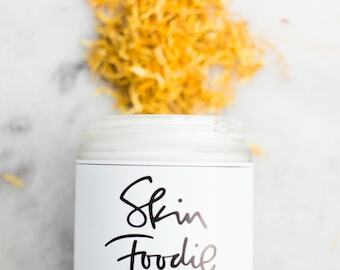 Clearing skin and feeding your body from the absorption of vitamins and minerals from your skin food. Allowing the skin to better serve its purpose and protect form environmental pathogens. Synthetic ingredients can cause hormonal fluctuations, have estrogenic effects on the body and continued use can create carcinogenic effects. 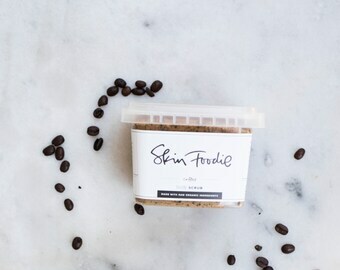 Feed your body through your skin using Skin Foodie. 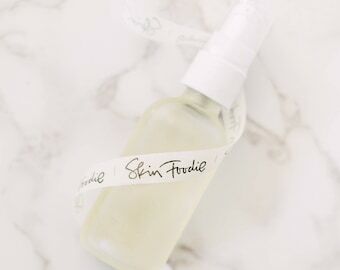 Most moisturizers list water as its first ingredient which give us the illusion of moisture. When the water dries we are left with dry skin. The other petroleum based products suffocate our skin. 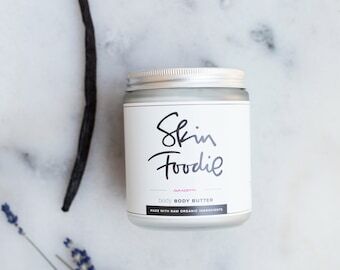 Refined butters loose their vital nutrients and healing properties. Preservatives interfere with the quality of oils. QUALITY matters. Shea nuts are picked, cracked, grilled and pounded to extract the butter which is then boiled in water until the fresh shea butter rises to the surface. These nuts come from the fruit of the Karité Tree, also known as The Tree Of Life, and are packed with Vitamins A, E and F along with essential fatty acids and antioxidants. 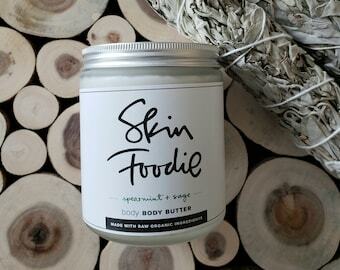 This butter is easily absorbed by the body because its is very close to the bodies natural moisturizers. 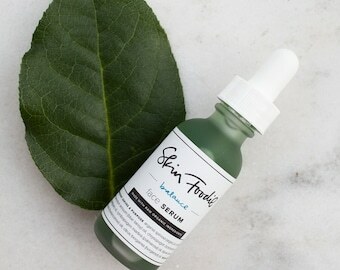 Its uses include blemishes, scars, rashes, sunburns, anti-aging, wrinkles and is extremely hydrating. 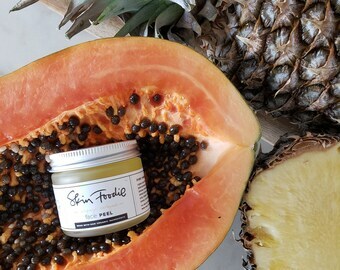 Skin Foodie supports an organization in Africa. Shea Butter is known as 'Woman's Gold' because it is Africa's main source for a woman's income. By purchasing 35 pounds of Fair Trade Organic Shea Butter it is enough to feed over 700 families in Africa. I hope to share more about this organization soon. Coconut Oil is a pretty amazing SUPER FOOD! 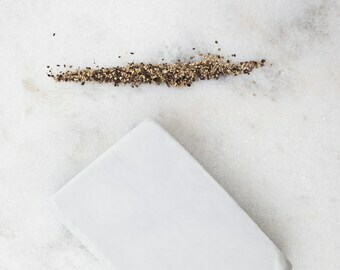 Ingesting four tablespoons you can meet your daily fat requirements. Good fat and without cholesterol. Applied topically it is a magical remedy. Coconut oil contains a large proportion of lauric acid, which is converted to monolaurin in the body, a fat otherwise found only in breast milk. What does this mean for you? It has natural germ killing and antifungal properties treating a wide variety of skin disorders. All handmade in small batches with love. Desiree is also my sister in law. 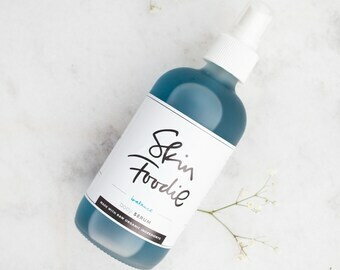 She left her job of seven years to join the Skin Foodie team full time! Desiree does it all! Returns are not accepted and refunds are not issued. The nature of each product does not allow for it to be returned because of quality standards. If item arrives damaged please send a message through Etsy messaging along with your order number, your name and a photo of the item and the outside of the package. A claim will be filed with the shipping carrier. All products that are damaged will be replaced as long as the following criteria is met. If there is a quality issue with your purchase please message in Etsy and each inquiry will be handled promptly. Ultimately, we want every purchase to be loved! If a package does not arrive as stated in your tracking please send a message and contact your local postmaster. We are not responsible for lost or stolen mail but can do everything we can do to help! Please be sure to check your shipping address. Due to the number of incorrect addresses we are not responsible for shipping to the correct address. If the package is returned to us, the buyer is responsible for additional shipping costs. I accept paypal, and other forms of payment through Etsy Direct Checkout. If you place a duplicate order of have an issue with payment please contact me. 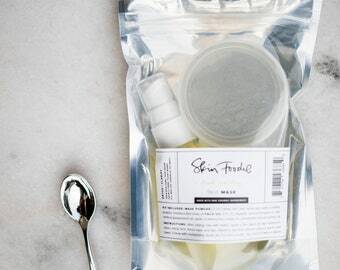 Your Skin Foodie Products are made in small batches and at peak times are often made to order. All items will be shipped as quickly as possible as I know you are super excited to receive your products. Most orders will ship within 7-10 days. You will be notified if your order is expected to take a bit longer. I appreciate your patience. LOCAL PICK UP is available as well using the PICKUP code. Please contact me for details if you live in the Dayton Area. I take every concern extremely serious and ultimately want everyone to be extremely happy! We are human and mistakes can be made and I am here to make it right!!! I appreciate you and your love for Green Beauty Skin Care!!! Without you this is not possible! Thank you! I appreciate you!